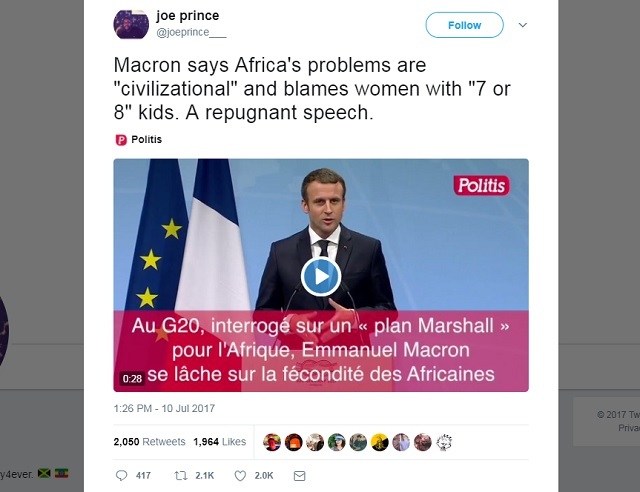 Newly elected French President Emmanuel Macron is taking heat from leftists on Twitter for comments he made about Africa, though many on the right are hailing him as "our guy." WTF I love Macron now. 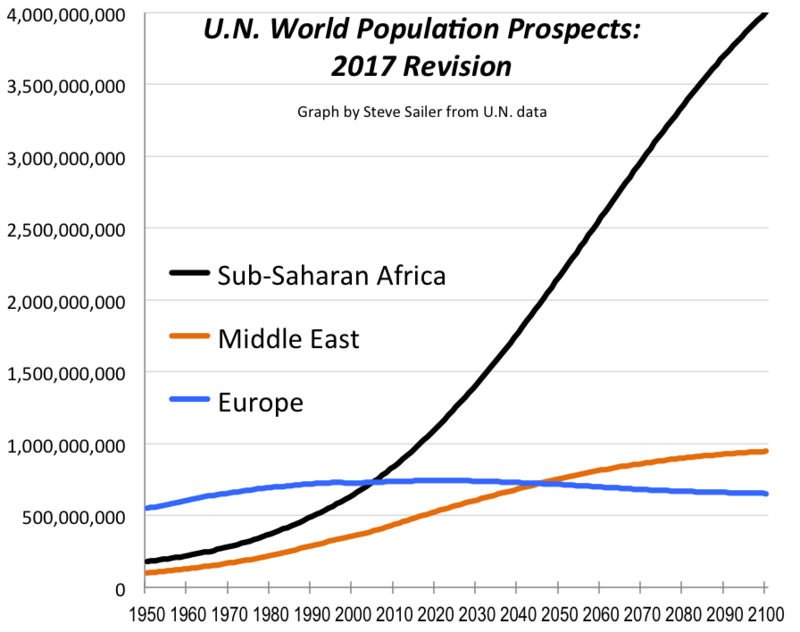 If Trump's "Western Civilization" speech was a racist dog whistle, what was this? An air horn? Here's his full statement in context. 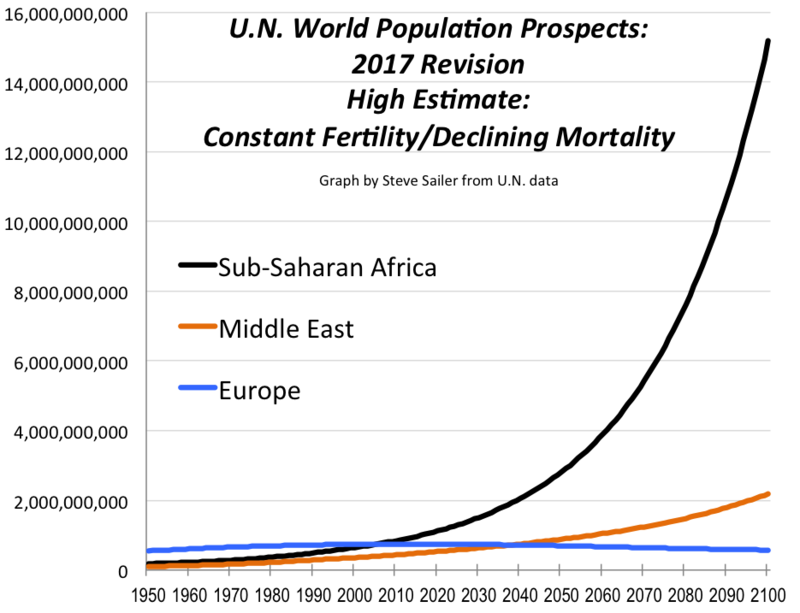 According to the UN's latest population projections, the population of Africa is projected to hit 4 billion by 2100.